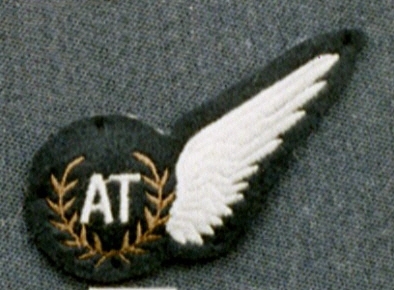 The Airborne Technician Brevet as worn by Engineering personnel who are not aircrew (they do not wear the Aircrew eagles above their chevrons). It was approved on 4 May 1990 as a result of the very complex avionic equipment on board the E-3D's. It was decided that it was more cost effective to employ experienced ground crew to maintain it whilst airborne instead of training existing aircrew. Like the Fighter Controllers, they are Honorary Aircrew despite undertaking full aircrew training and receiving flying pay. Photograph and information kindly provided by Tony Ford.